Home › Rick Huckstep @ InsurTech › Can InsurTech be disruptive without causing disruption? 360Globalnet tell me how! Can InsurTech be disruptive without causing disruption? 360Globalnet tell me how! 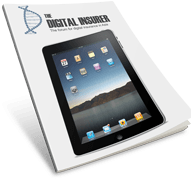 In the 21st century, there is no doubt that the world of insurance has gone digital. But there is more to it than just “going digital”. The latest generation of InsurTech startups are also changing the very nature of the relationship between the customer and the insurer. We all know that insurance scores low on trust scores and customer satisfaction surveys compared to most other industries. And we all know that this is largely because the way insurance is presented to the market and the poor experience for a customer when they want what they’ve paid for. Which is why InsurTech puts the customer first and builds a digital experience from the outside in. It offers convenience for customers, which, IMHO, will replace price as the primary buying criteria for insurance. It reduces cost for insurers at both the frontend when onboarding new customers and at the backend when handling claims. It reduces claims payouts and levels of fraud. And the virtuous circle completes with lower premiums and happier customers. And the InsurTech led digital experience has many advantages. One business that I have followed for some time has been 360Globalnet, although Founder and CEO, Paul Stanley has been a hard man to pin down. Which is no surprise given the business he has built up over the past 5 years. Which is why I was delighted to get to spend an afternoon with Paul and his team at their HQ on the outskirts of London. After an introduction from Boris the Robot we spent the next 4 hours talking about the future for insurance. 360Globalnet are more ‘scale-up’ than startup but there’s no denying their digital credentials and inclusion in the InsurTech club. The thing that has interested me most about the 360Globalnet story is how Paul has defined a very clear vision for the future of insurance. And then built a business to deliver to that vision. And whilst I couldn’t publish the details as I put this article to bed, readers should watch the news wires as a major announcement is imminent which will bring this technology to the attention of a global audience! This is the single most defining characteristic of the current breed of InsurTech startups. This focus on the customer experience drives the design and build of the business model and the tech that enables it. By using a combination of custom built tech and a crowd sourced business model, 360Globalnet have built a digital claims management experience built on a customer self service model. Their solution puts the customer in control. The claims experience is the moment of truth for all insurers and their customers. It is the single biggest opportunity for an insurer to cement customer loyalty, however, sadly, an opportunity that is all too often missed! So, what is it that 360Globalnet do? By handing the control for the claims process to the customer and all participants in the claim, 360Globalnet tick several boxes. First, they empower the customer and put them in control of the process. Second, they remove the friction between all parties in the supply chain (and get the job done quicker). And third, they reduce the cost of claims management for the insurer. This is all delivered using the same web based platform for all parties to access and advance the claim. This is a common experience for customers and inevitably leads to variations and inconsistency in the recorded evidence, which doesn’t help the insurer at all. When you think about it, this all makes perfect sense. For the customer, they’ve already suffered an inconvenience (and associated loss). Yet the insurer’s claims process compounds their inconvenience further to make it easier for the insurer (key takeaway for incumbent insurers – this is inside out thinking and does not put the customer first!). As a result, many claimants don’t report accidents straight away and don’t give the insurer the opportunity to take control of costs early enough. Tech may be brilliant but there are some things that still require human talent to complete. Paul explained how 360Globalnet have built their highly effective, remote workforce business model to support the digital experience. Using home workers and a crowdsourced model, this is an agile business model that syncs human labor with the tech. “With you in 5”, aka 360Pronto is the name Paul has given to the crowd sourcing model. Using the power of crowds, 360Globalnet have built a network of 350 people in the UK, to do local claims assessment, take statements and conduct investigations. Not only is this cost effective, it is also efficient, flexible and rapid, and it reduces time and delay in the claims workflow. I saw the proprietary tech that 360Globalnet use for video streaming and it was very impressive! On the fly, they streamed live video from the basement of their Edinburgh office. This basement barely has a single bar of a mobile network, but by using cellular bonded technology, the team streamed good quality live video and audio. This proprietary piece of kit uses all 4 mobile networks to provide a super fast pipe into the Internet. The focus for the video tech is to maintain the audio first, and then to capture useable images. Even at low bandwidth, they still capture a usable picture. Called a 360MediaPort, it is taken onsite and used for high value claims. Where there are lower value claims that don’t justify a site visit, the customer can upload their own video footage via a self-service link. Interestingly, this self-service approach also acts as an anti-fraud deterrent. Paul explained; “When we ask the customer to share the details of the claim, we create a natural anti-fraud deterrent. Customers with nothing to hide tend to provide more evidence than is necessary. Data is a challenge for insurers. Even though it is the bedrock for the industry, the tools and technology required to handle unstructured data, new sources of data and massive amounts of data is still missing from most insurer’s IT armory. Whilst I cannot name names when it comes to Paul’s clients (even though the industry knows who they are! ), the evidence is compelling. These insurers are seeing improvements in their combined ratios and net promoter scores directly as a result of what is, after all, the essence of InsurTech…putting the Customer first. And this is a win-win scenario. One insurer has seen a 2/3rds fall off in calls to their call-centre by moving to the web based, self-service model. Simply put, a digital approach means that insurers can increase their spending on service and delivering on their promise to protect their customers.